Rabiah-Nassar & Zamil Concrete Industries is an employer of choice manned by highly competent people. Our success is anchored on the contributions of our employees, whose professionalism and dedication have made us one of the market leaders within our region. We cultivate talents and leadership to create best quality products, to best meet our customer needs, and to develop our industry. 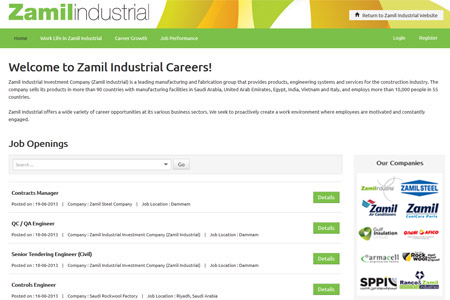 For career opportunities, please visit : Zamil Industrial Career Portal.